Ever wanted a huge all American luxury sedan from the seventies? Here ya go! Sure drives like one. Features: Boost Flap, braking lights. 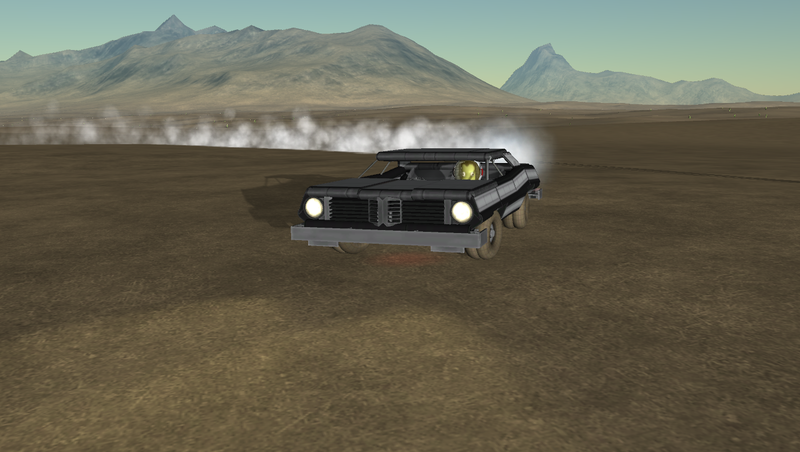 Top speed is 61m/s or 219kph. As an extra look for the subassembly for upgrading it to a cop car. Yep, with that it’s twice as powerful!